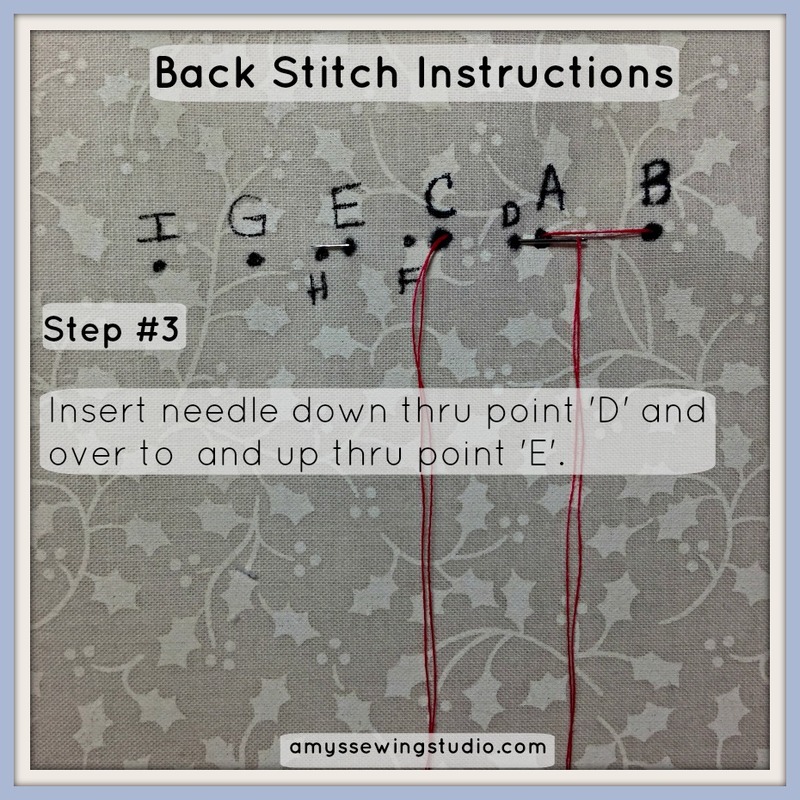 Back Stitch Instructions for the Beginner; A MUST learn basic sewing stitch! 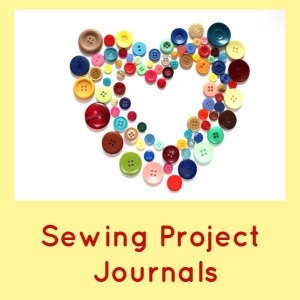 You are here: Home / Sewing Basics for Beginners / Back Stitch Instructions for the Beginner; A MUST learn basic sewing stitch! The stitches appear larger than usual for instruction purposes. 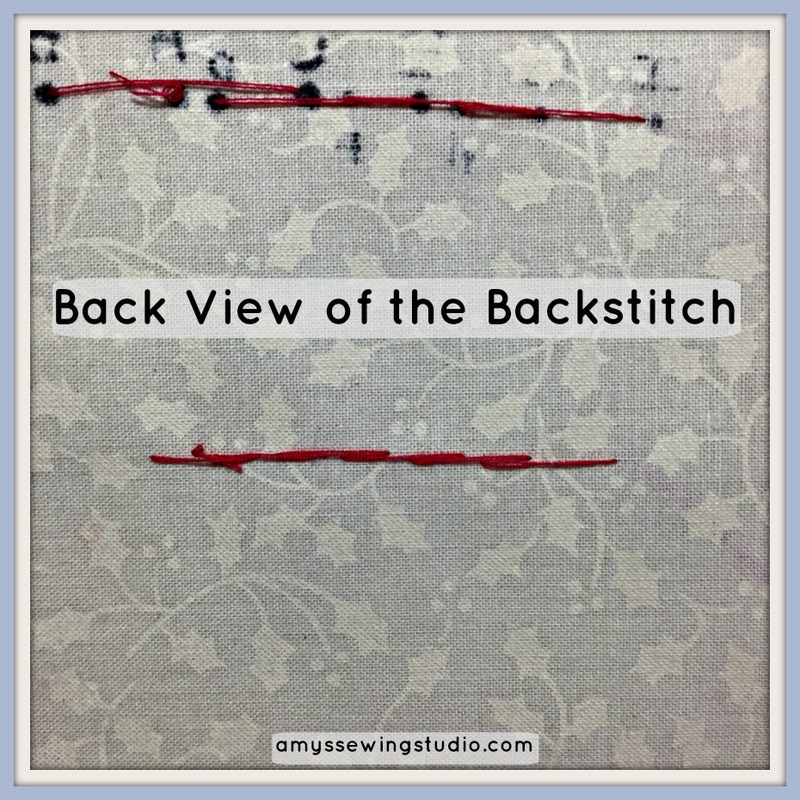 Notice that the top of a backstitch looks similar to a running stitch or sewing machine straight stitch. Seam Repairs-used for seams that need extra strength and flexibility like the armhole seam and the crotch seam. Are you still having a hard time threading the needle? 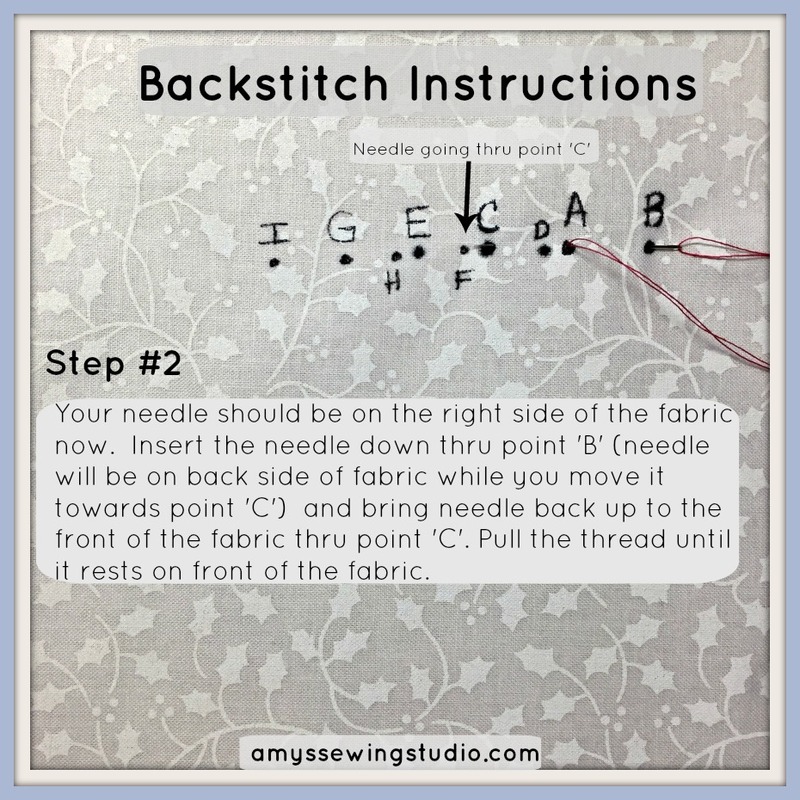 Check out this easy needle threading option. Preferably cotton fabric for practicing stitching tutorials. Cotton fabric is the easiest fabric for the beginner seamstress to use and practice with because it is not stretchy like knit fabrics, and is just very easy to hold in your hands. All-Purpose thread can be used for many types of fabrics which makes this a great choice thread for the beginner. A medium length needle (size 8 or 10) will work for the purpose of hand stitching with cotton fabric. 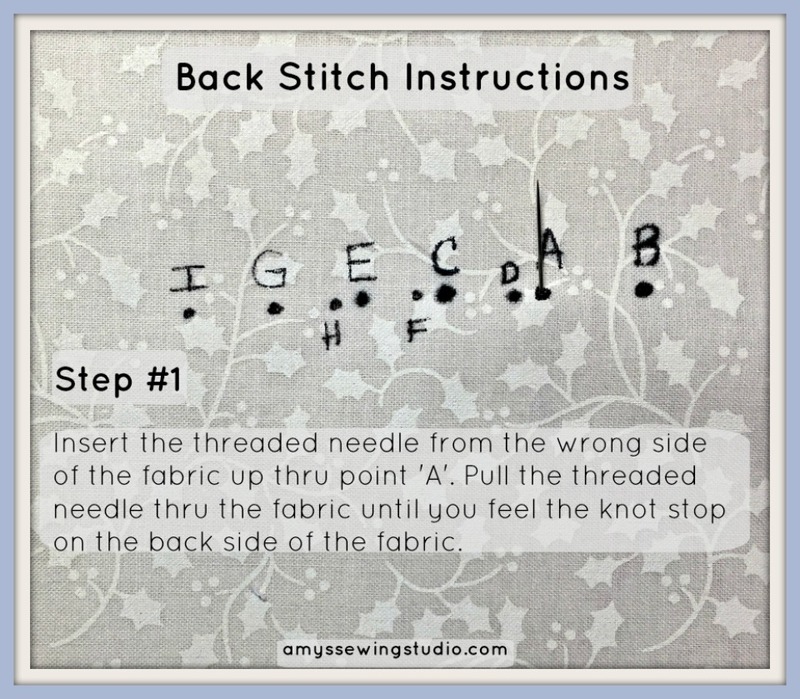 Check out the you-tube video for this stitch, and then continue reading for step by step instructions and pictures! I use a double strand of thread when sewing hand stitches. If you are right-handed, the backstitch is usually stitched from right to left. If you are left-handed, the stitching direction will be the opposite; from left to right. *I refer to the FRONT of the fabric as the RIGHT side of the fabric. The BACK of the fabric is the WRONG side of the fabric. Backstitches on the the fabric will be about 1/8 to 1/4 inch long. 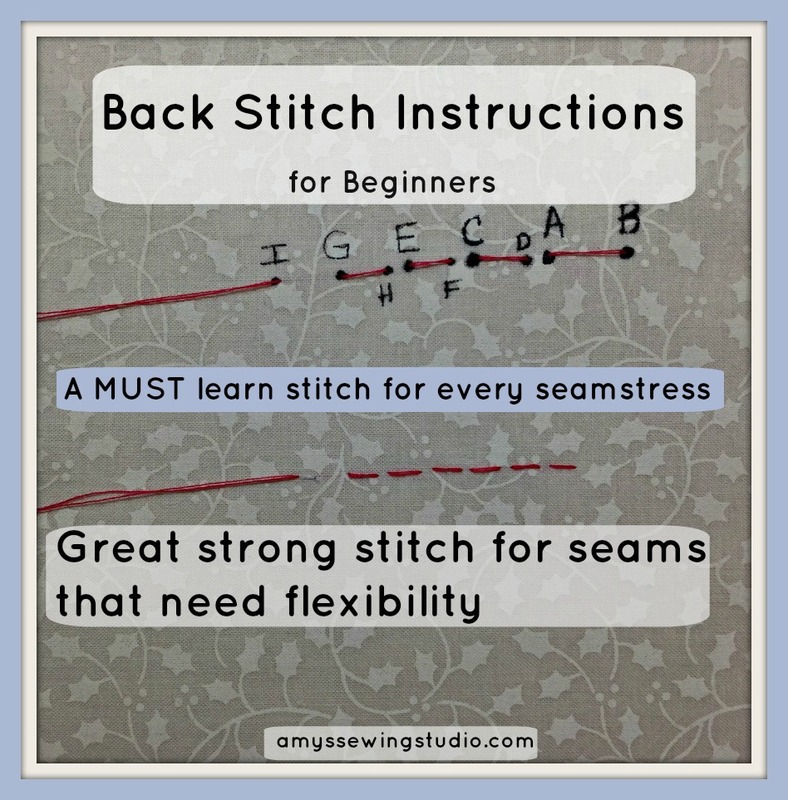 The stitch length will vary and may be longer depending on the fabric you are stitching. Thicker fabrics will have longer stitches. If the thread is is too loose, the stitch looks ‘sloppy’ laying on the fabric. If thread is pulled too tight, the fabric will bunch up. Continue this sequence of stitching (needle down thru point ‘F’ and up thru point ‘G’ etc.) until your seam is closed up, or you are done with your decorative stitching, or need more thread. Pay attention to your thread length as you are stitching-you need about 3 or 4 inches to secure your thread or tie a knot. 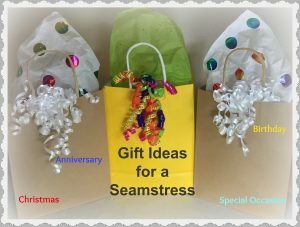 Running out of thread and not done stitching yet OR ready to tie a knot? Make sure you have about three to four inches of thread available to secure your thread. Bring your needle to the back side of your work . With your thread pulled all the way thru to the back side of your project, make a loop with your thread, have loop close to the fabric. Bring the needle thru the loop and pull the thread until the loop closes up. You can repeat this one more time and as you pull the second loop try and get this loop to close over the first loop forming a thick knot. Sometimes getting the second loop to lay over the first tightened loop doesn’t always happen in the exact location we want it to and a second knot appears. Then you’ll see two small knots laying next to each other. You can try tying a third loop; bring the other little knots in with this third loop and you’ll have a nice big knot! All it takes is a little practice! After you’ve got a good looking knot, just clip the excess thread just above the knot. IS THERE AN ALTERNATIVE TO TRYING TO TIE A KNOT LIKE EXPLAINED ABOVE? Yes 😀 You can use two to three (I’d go for three) small backstitches right on top of each other. This is the alternative way to secure the thread when working with cotton or knit fabrics. 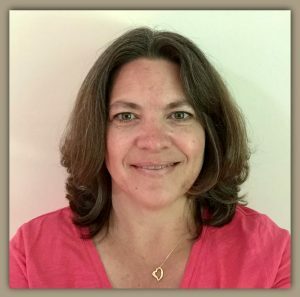 Please help me to help others and share this on your favorite social media!